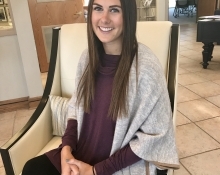 The Edmond Chamber is proud to announce the promotion of Savannah Barrington to Director - Special Events and Small Business. Class XXXIII of Leadership Edmond has recently been selected by the Edmond Area Chamber of Commerce. Leadership Edmond is a nine-session program, sponsored and coordinated by the Edmond Area Chamber of Commerce to identify, educate and develop a select group of Edmond citizens for positions of community leadership. 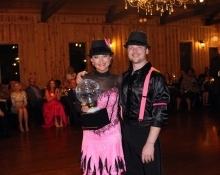 Class XXXIII is presented by Innovative Healthcare Systems, Inc.
Edmond's Dancing with the Stars (EDWS) is a brand-new event by the Edmond Area Chamber of Commerce. The event took place at a beautiful venue, the Springs Event Center and was held on Thursday, September 7th. The night featured a dancing competition among local celebrities, a small silent auction, catered dinner, and fabulous drinks! 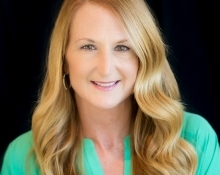 Edmond Chamber President selected as finalist in "Woman of the Year"
Edmond Chamber President and CEO, Sherry Jordan has been selected as one of the Journal Record’s “50 Making a Difference” for 2017. 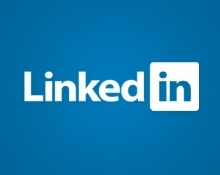 Grow your small business with LinkedIn by using these seven proven tactics. There are nearly 30 million small businesses in the United States, but only half of them will make it past five years. To ensure your small business is in the successful half, we encourage you to capitalize on the various ways LinkedIn can evolve your business.